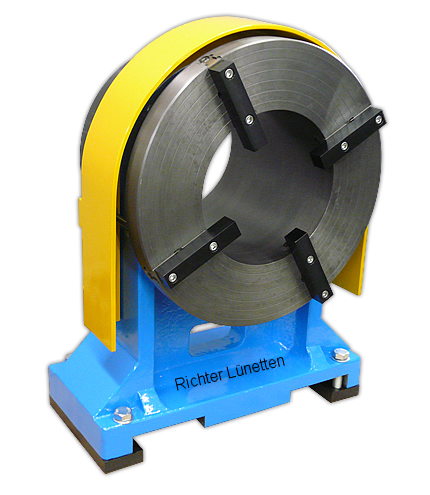 The ring steady features speedy clamping for small workpieces. Here, the dimensions range from 320 mm to 140 mm. The yellow protective covering is moved forward during the operation. It prevents the operator from getting accidentally caught in the rotating clamping jaw.